Microsoft and Raspberry Pi want people to build businesses and start Kickstarter campaigns around cool devices making use of the new Raspberry Pi 3 computer. The companies are teaming up to provide an entire package needed to build Internet of Things and smart devices, including hardware, OS and cloud services. The goal is to help Raspberry Pi 3 users take their envisioned devices from concepts to the end market. Microsoft is previewing a new edition of its Windows 10 IoT Core operating system for the Raspberry Pi 3. With the OS update, Microsoft is making it easier to customize the OS to a specific device made using Pi 3. Microsoft will also certify devices built around Raspberry Pi 3 to work with its Azure cloud services, the company said this week. The goal is to show that the Raspberry Pi isn't just a hobbyist device, but a computer that can lead to the development of serious products that developers can build businesses around, said Eben Upton, CEO of Raspberry Pi, in an interview with IDG News Service. Microsoft has worked closely with Raspberry Pi, and Azure integration is key to expanding the utility and adding more services to devices made using Raspberry Pi 3, Upton said. 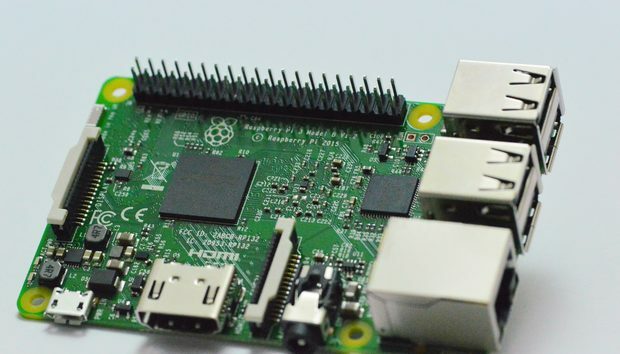 Raspberry Pi and Microsoft are trying to tap into the fast-growing IoT market. Analysts estimate up to 50 billion devices are expected to be connected by 2020, a huge business opportunity. Microsoft wants to put Windows on a range of large and small devices, and sees a good opportunity to do that with Raspberry Pi, which has sold 8 million units to date. Windows 10 IoT Core supported the older Raspberry Pi 2, but the new customization and Azure certification services weren't available. The credit-card sized Raspberry Pi 3 's new features include a 64-bit ARM CPU, Wi-Fi and Bluetooth. Those features make it easier for smart devices to communicate with sensors and haul information to the cloud for analytics. Azure will provide cloud services for analytics, security and automation, among other services. For example, Azure could help cut electric bills by telling lights and air-conditioning to shut down after someone leaves a house. The Windows 10 IoT Core OS open-sources its board support package, also called BSP, that allows developers to customize a version of the OS to a specific device being built on the Raspberry Pi 3. Element14, a design engineer community, is also providing Raspberry Pi customization services.